A thoroughly revised and updated Second Edition of this essential and groundbreaking reference gives a comprehensive overview of one of the most fascinating, important, and controversial trends in the world of wine: the scientific and technological innovations that are now influencing how grapes are grown and how wine is made. 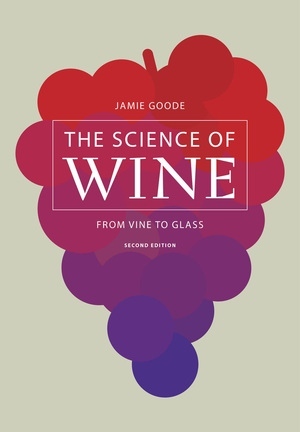 Jamie Goode, a widely respected authority on wine science, details the key scientific developments relating to viticulture and enology, explains the practical application of science to techniques that are used around the world, and explores how these issues are affecting the quality, flavor, and perception of wine. The only complete and accessibly written resource available on the subject, The Science of Wine: From Vine to Glass engagingly discusses a wide range of topics including terroir, biodynamics, the production of “natural” or manipulation-free wines, the potential effect of climate change on grape growing, the health benefits of wine, and much more. A must-have reference for a wide audience of students, winemakers, wine professionals, and general readers interested in the science of wine. Jamie Goode is the wine columnist for the UK national newspaper The Sunday Express and he also writes for The World of Fine Wine, Wines and Vines, Wine Business International, Wine and Spirits, and Sommelier Journal. He is coauthor of Authentic Wine: Toward Natural and Sustainable Winemaking (UC Press). The first edition of The Science of Wine was the 2006 Glenfiddich Drink Book of the Year.